If there is one player, whom the eyes of the world are on tonight, it is probably Neymar da Silva Santos Júnior, or just Neymar Jr. Not often has a footballer carried a whole nations burden, as it is the case with Neymar Jr. 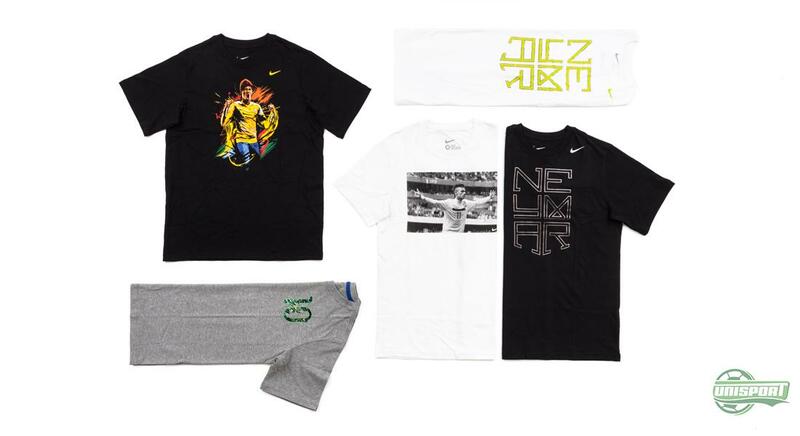 But if there is someone who can handle it, it may very well be him; and in order to celebrate the Brazilian superstar, Nike have given him his very own collection. He is just 22 years old, but already now his name is already known all across the world and has been for about thee years. At the age of just 19, he was already awarded Player of the Year in all of South America, after having taken the third position in 2010 in the very same celebration. 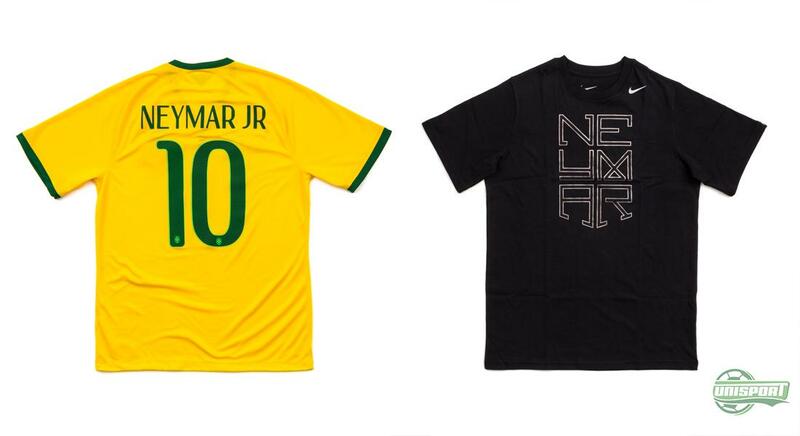 With the number 10 in A Seleção there is certainly no doubt about Neymar's status in the football loving country. Get the Brazil shirt with Neymar printing. 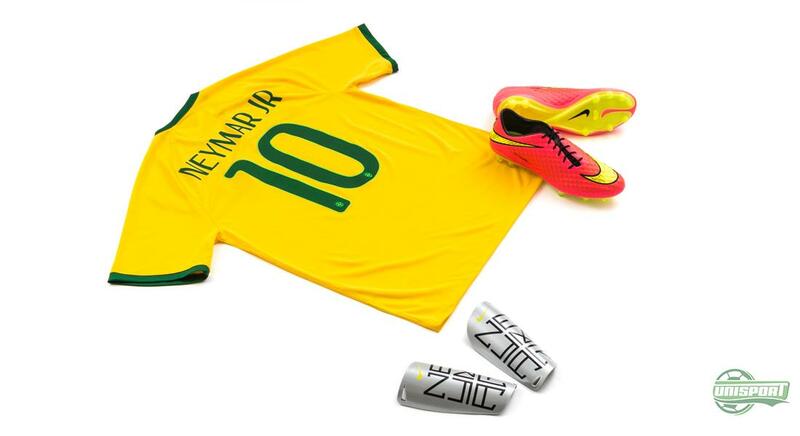 During the World Cup, Neymar Jr. will be wearing the Hypervenom. Get your hands on the football boots right now. 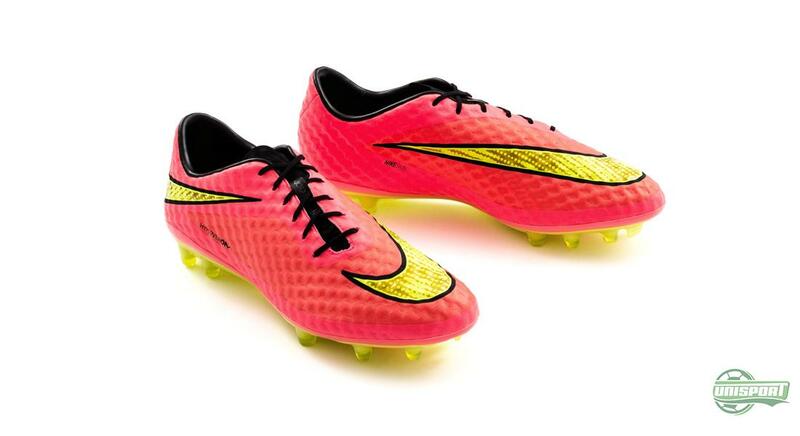 You can also go for this Neymar Jr. Hero t-shirt white – just 29 Euro. That fact that Neymar is nothing short of a golden boy was something Nike already picked up back in 2009, where they ensured the players signing on a sponsoring contract, which was already in 2011 prolonged with 11 years and very much ensured the future for Neymar. The World Cup in Brazil will be the first for Neymar, and hereby also the first World Cup for the partnership between Nike and Neymar. And as we know it from Nike, a partnership with a superstar like Neymar Jr. is not something that is gonna go under the radar. So, in order to complete the true Neymar mania that will culminate with the opening match tonight in Sao Paolo, Nike are ready with a full Neymar gear collection. 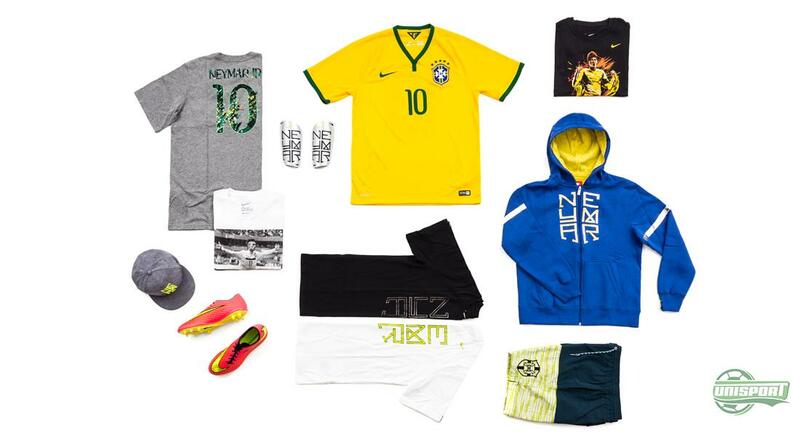 And we have gathered a long range of gear right here, so you can support the superstar in, what many people call “Neymar's World Cup”. Grab a cool t-shirt with a Neymar print on the front – just 23 Euro. How about a pair of stylish Nike Brazil Shorts? - just 47 Euro. Go ahead and get your hands on this characteristic Neymar Hoodie – just 47 Euro. 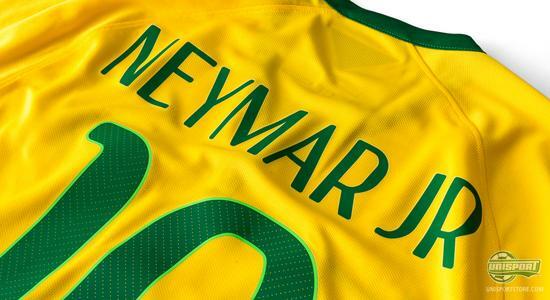 One of the things that make the Neymar collection very unique is the very special graphics, which has been designed specifically in honour of Neymar. 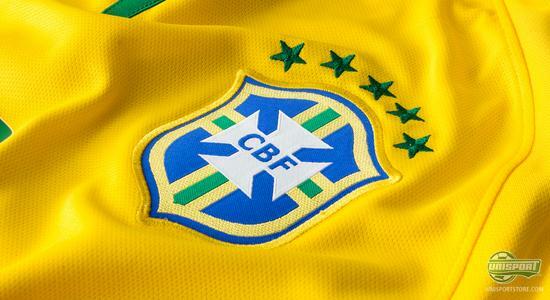 The graphics are made with Neymar’s name and is very characteristic of the young Brazilians style of play. The graphics are used on a number of t-shirts, hoodies and even the popular Mercurial Lite shin-pad. Neymar loves his snapbacks, so Nike made one with his very own name on it – just 19 Euro. Get the popular Mercurial Lite shin-pad here - just 18 Euro. Neymar is a fantastic role model for millions of hopeful young footballers around the world, who all dream of making it to the very top, like Neymar. Several footballing legends have also been out and hailed the young talent. Even Pelé has said that Messi himself needs to knock Neymar of his perch, before he can call himself the best in the world. The two play together in FC Barcelona, but at the World Cup it will be a straight out showdown between the giants. Find the stylish Neymar T-Shirt here in white – just 23 Euro. Find the stylish Neymar T-Shirt here in black – just 23 Euro. In a very short space of time Neymar Jr. has become massively popular both on and off the pitch. Nike are proud to have him, as a part of their star-studded family and they aren’t shy to show it to the world. 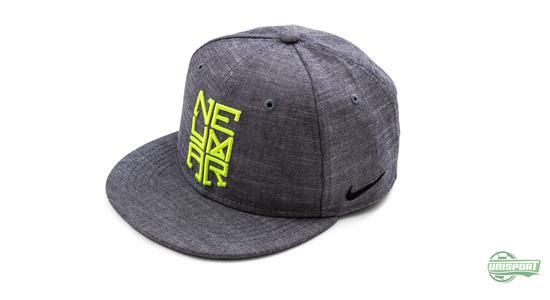 Neymar looks certain to outshine everyone at the World Cup and you can help him do so by supporting him, with the new Nike Neymar gear.